GirlishGene Visual Artworks is a fun and flirty collection of original illustrations by Lunatic Joker artist Tsukigami Lunar. Tsukigami Lunar's twin mascots Mika and Mira are heavily featured and are even the cover girls for this Comiket 78 release. 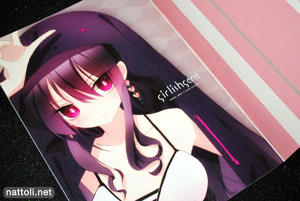 The front cover in pink features Mika, while the back cover has a near identical illustration of Mira on this A4-sized, 20-page (including covers) doujinshi. 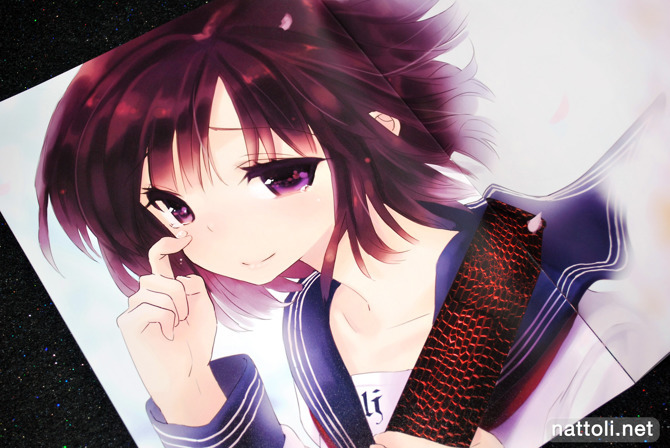 The two illustrations are repeated inside with a more full body version---the rest of the legs aren't cut out of the picture like they are on the covers. Above, you can also see Tsukigami Lunar's take on Darth Wooser, though a more complete version was included in the DW Comiket 78 release. Tsukigami Lunar's normally adorable girls get an extra boost of cute with the addition of heart and star-shaped eye sparkles. I've been noticing this in more and more works from a variety of artists, but these are easily some of my favorites. 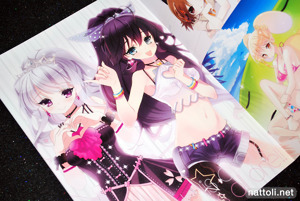 The art work is also very well displayed on thick matte pages, without any color noise from printing. 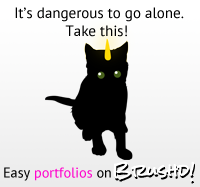 A few of the illustrations were from other publications that came out over the past year. Tsukigami Lunar's illustrations from Headphone Girls and the Girl's Style section in Megami Creators Vol 18 were both in GirlishGene along with the Wooser illustrations done for the other Comiket releases. 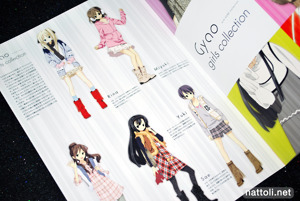 The collection ends with a few more fashion forward pieces, including an iDOLM@STER fan art and a style section called Gyao Girls Collection. It's cute because Tsukigami Lunar goes so far as to give each girl a name and personality to better exemplify her style, like in a real fashion magazine. GirlishGene ends up being a really nice collection, even if many of the works will seem familiar to most fans since several are on Deviantart and some were re-published. Did you get it from comic zin? Have you tried them? I bought Girlishgene from Melonbooks through a deputy service. But I have used Comic Zin (through a deputy service) with no problems for this and a couple of other books.